I have five sleeping pads. Five. All of them still work, all of them are relatively lightweight, and all of them lay abandoned in the corner of my room, collecting dust, and enticing the cat to use as a scratching post. I don’t like sleeping on the floor and never truly will. In fact, if I can I will bring my Warbonnet Hammock and sleep suspended between the trees with a gooey down under quilt below me. However, during my recent NOL’s Semester in Patagonia, I needed to find a good sleeping pad to sleep on for 85 continuous days. I also need a ground system for my upcoming thru hike on the PCT. Fortunately for me, I landed with the Thermarest NeoAir X-Lite sleeping pad, quite possibly the best sleeping pad that money can buy. 1. Comfortable: This pad offers the possibility for the same nights sleep a mattress would afford you. It is comfortable to the extreme. 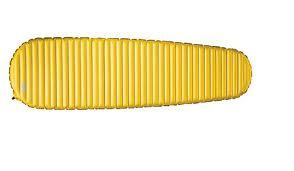 It has horizontal baffles, which makes it feel way less like a pool toy (sorry Big Agnes) and more like a real bed. It has a lighter than air, 2.5 inches of loft and it really holds you well. At 240 lbs and 6′ 6”, I didn’t have a problem using this pad for over 80 days. I do recommend using something to prop your head up like a pillow or a stuff sack with extra clothing in it. and with a zero degree bag, I was able to sleep in shorts and a t-shirt. It has an R value of 3.2 which makes it quite warm. The only warmer pad Thermarest offers is the Neo Air XTherm (R-value 5.7, 20oz, $219 long). 3. Light: This pad is one of the lightest money can buy for what it does. Some like a short pad where their feet hang off, maybe on a backpack or something along those lines. I like a full pad if I am going to sleep on the ground. I bought the large pad (77 inches long, 25 inches wide) and I can just barely fit on it. At 25 inches wide, it is a narrow pad but I’ve found a sweet spot to center myself in and still be able to move around. The large only weighs 16 oz. 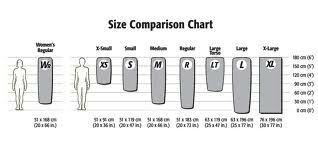 At one pound, the only other pads are either shorter, colder or a CCF (close cell foam) pad. If you want comfort and warmth at a light weight, this is the pad. 4. Packs Down Small: The NeoAir X-lite packs down to about the size of a Nalgene water bottle and vanishes inside your pack. To get it to its original and smallest packed size, you need to fold the pad into thirds (fully deflated) and then roll it, instead of folding it in half. 1. Fragile: It’s not necessarily unusually delicate, but I have treated my pad like it is glass since the first day I’ve had it. It may just be me but I don’t want to lose this piece of gear. Night in and night out, it keeps you comfortable and warm so the idea of losing it and having to lie directly on the ground is terrifying. Fixing a hole in the Neo Air is not simple and requires time and Sil Tape and seam sealer. I will never use my pad directly on the ground and have to check for any sharp sticks or prickers on the ground before the pad comes out. My pockets have to be checked next for anything sharp. It can’t be used as a sit pad nor will you want to move too quickly or heavily on it. Or that’s just me. Like I said, it has never given me a real reason to be worried, but its durability worries me anyway. to sleep, my body heat will keep the pad warm enough and it doesn’t lose any loft. However, if you are going to leave your pad inflated for an extended period of time, then it is going to deflate slightly. Nothing crazy and nothing one puff can’t bring back. 3. Blowing it Up: Some people don’t like blowing up pads. Maybe they think that it will be hard and they will be left on the floor, gasping and out of breath. I timed how long it took to blow up the pad. The first time I blew hard each time and did not take any time. It took me one minute and 14 seconds to fully inflate the pad and under 15 blows. At an average pace, where I take my time, it takes around 1 minute and 35 seconds, which is still pretty short. 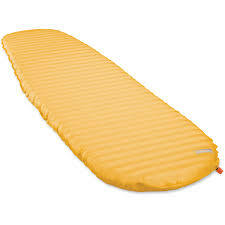 4: Expensive: The Thermarest Neo Air is pretty expensive as sleeping pads go. They range between $129 and $179. Sometimes a cheap $8 blue pad is all someone needs. I would recommend this pad to anyone who is ever going to sleep on the ground in any situation. You can take it with you pretty much anywhere and it is like carrying a mattress around. Light, comfortable, warm and packable. If you don’t have the money, save up for it. Just be careful everyone!